Did you know that some people earn $18,000 for a single post on Instagram? And even if you are not planning to become a beauty blogger, marketing yourself on Instagram can help you drive sales and promote your brand. Instagram is one of the most popular social networks with 800 million monthly active users. It gives you unlimited opportunities to find the right audience, no matter what you are doing. 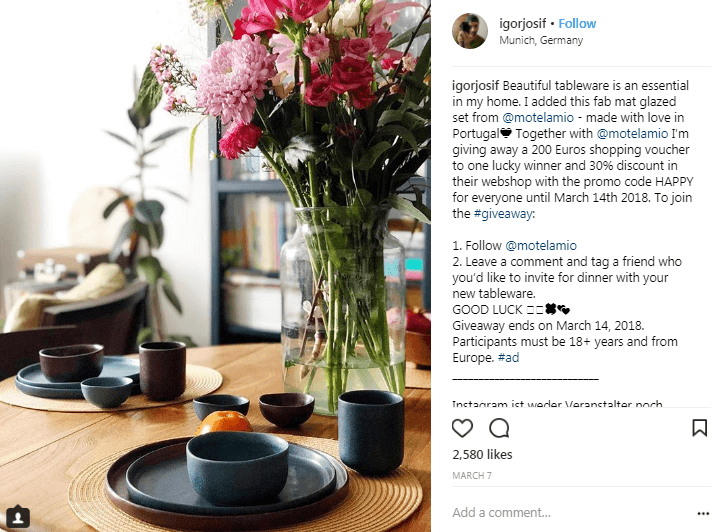 Whether you are a designer, photographer or a business owner, you need promote your page on Instagram, and we’ll teach you how to do it wisely. But what will you get out of it? If you promote your company you will get leads and sales. If you want to earn some money, you can become a blogger. If you promote your personal brand, it’s a great place to become an influencer, to show that you are an expert and to establish relationships with people. 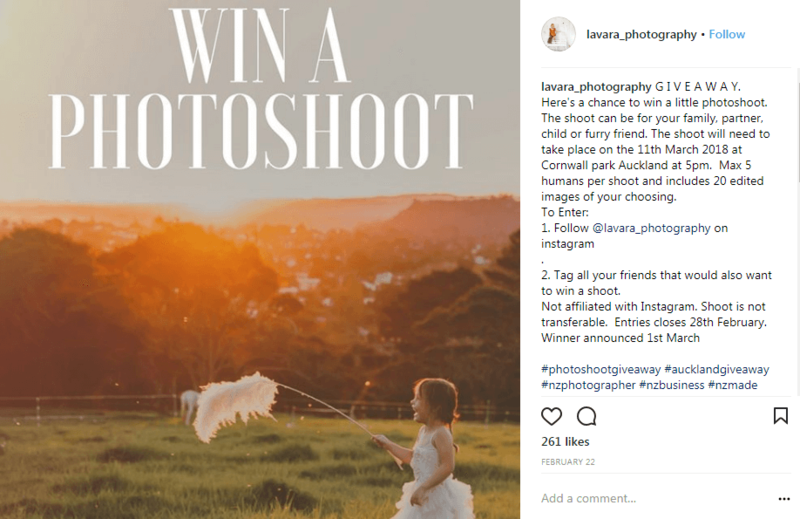 These 10 Instagram hacks will help you create a professional account, gain followers and generate more sales. Even if you have a great personal account with hundreds of subscribers, we advise you to create a new one for your business. The thing is that your potential clients won’t be interested in your selfies or photos from your trips unless you are a travel blogger. Moreover, you can plan everything thoroughly, from content to brand style. If you want your Instagram profile to look professional, all of its elements have to be balanced. The name of your account, your bio and the images you post. Try to find a unique and original username that reflects what you do. Avoid typical names like ann_77, or maryosborn_1988. Such nicknames are not easy to remember and don’t provide any information about you or your brand. You can use your real name if you market yourself on Instagram, the industry you’re working in or a catchy phrase related to the topic. The name can be formal, fun or inspirational. 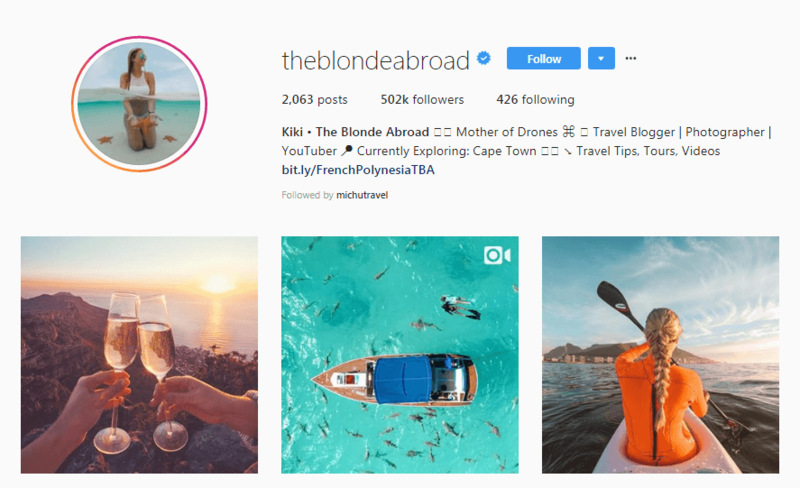 These names: girleatworld, wheresandrew, theblondeabroad are great because they are short, they sound good, and provide information about the topics of their accounts. Now it’s time to fill the bio section. Sometimes the most difficult thing is to write about yourself. We can help you with that. You can change your bio as often as you want. Change links to make people read your latest articles or add links to your promotional campaigns. Include emojis to add some personality to your bio. .
Why do you want to market yourself on Instagram? Do you want to build a personal brand, to get new followers and potential clients? If so, you need to pay a lot of attention to the content you publish. People will subscribe to your page, like and comment your posts but only if they like your content. That’s why you need to create a good content plan. If you want to promote your brand page, first you need to think of your customers. What do they do? What social media do they use? What posts do they like, comment, and share? Experiment with content, include pictures, quotes, videos, and animations. Post something funny, educational or personal. If you promote your own brand, create an image of an experienced professional with the content you publish. Show your followers that you are an expert and that you have authority in a specific field. Share your point of view on trending topics, attend conferences and post the photos. Look for an opportunity to speak at lectures, seminars or presentations, and don’t forget to mention it on social media. You need to be consistent, so try to post as often as you can. However, posting for the sake of posting doesn’t work, so think carefully about the content. You need to show people that there is a real person behind your account. Some companies post only the pictures of their products, quotes, and articles. Pages like this usually look too formal and don’t attract too much attention because they’re hard to relate to. Talk the way you do with your family and friends, ask people their opinion, start discussions, and try to be yourself. Make jokes and write about things that bother you. That’s why storytelling is so popular now. Don’t post a picture of your laptop with a hashtag #workinghard. Create a story that will relate to some of your followers. Make people say or think: “That’s what happened to me! I feel absolutely the same!”. Posts like this will bring you followers, comments, and shares, more than the most beautifully-designed pictures. After you’ve completed your profile and filled it with great content, start promotions. We are moving to a new way of life: several decades ago we faced a problem and looked for information that can solve it. Now we get information even before we realize that we have a certain problem. That’s why we pay a lot of attention to promotions. Our main aim is to make people easily find us. Instagram is a great social media, however, it’s search function is far from perfect. You can search for posts and users only by name, location or hashtags. That’s why the first thing you should do is add location and hashtags to all of your posts. 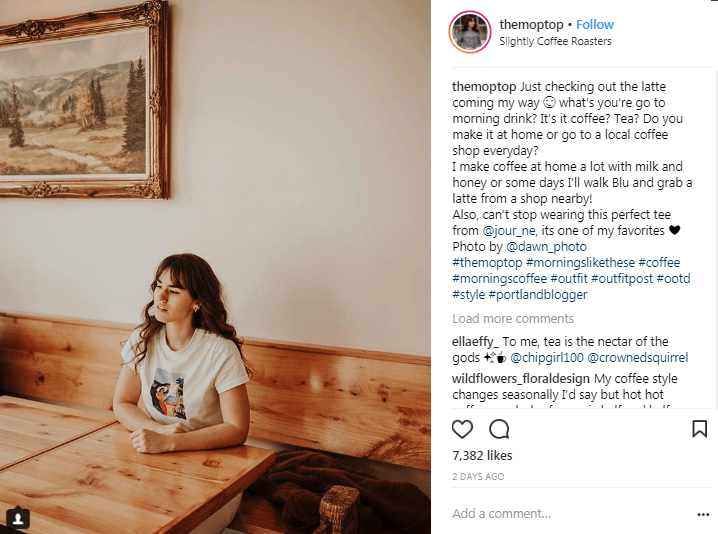 According to Simply Measured, Instagram posts with location get 79% more engagement. It means that these posts are almost two times more likely to be clicked on, liked, commented, and shared. Posts with at least one hashtag have 12.6% better engagement. What geotags should you add? Add your physical location, or think of the places your audience visits. For example, if you are a wedding photographer, tag popular wedding venues in your city, country clubs or wedding agencies. The same with hashtags – industry and location hashtags and consistent posting will bring you the first customers. 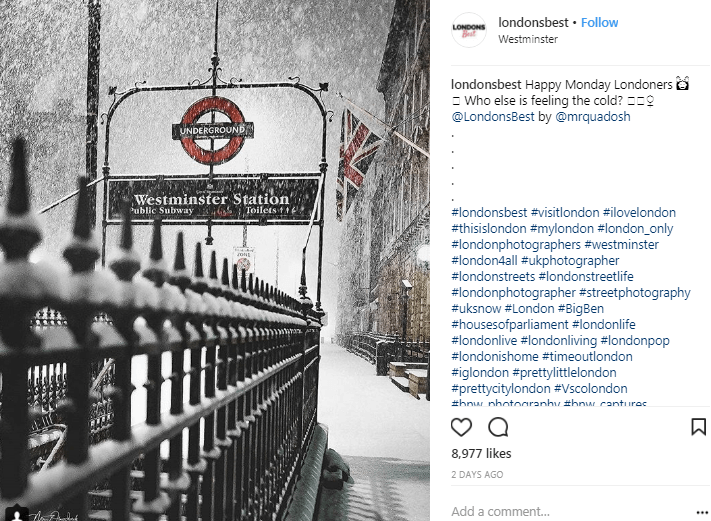 Check out our guide to Instagram hashtags to get more information. Collaboration with popular people or companies is always a good idea. Especially if you have the same audience. There is nothing wrong with promoting other people and brands, as they, in turn, will promote you. 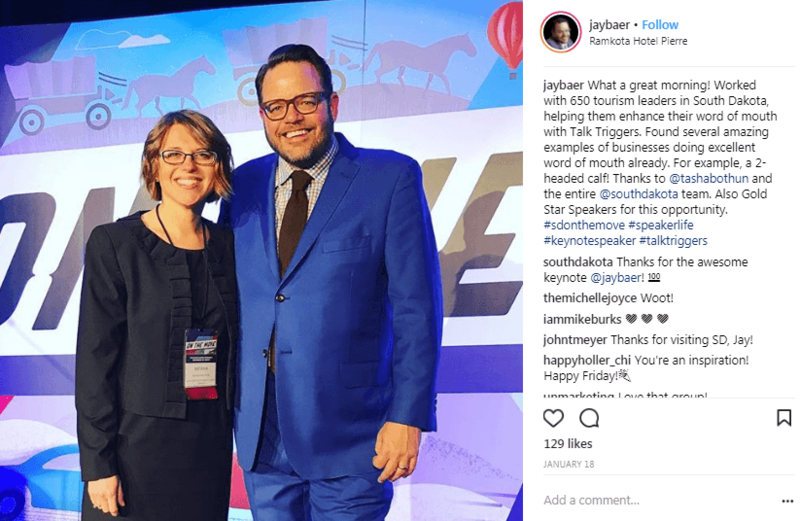 Partner with influencers or tag big brands in your posts. Many companies publish user-generated content and mention people who created it. It works well for photographers because millions of people see your photo, and some of them always subscribe. It’s a very effective and free way to promote. 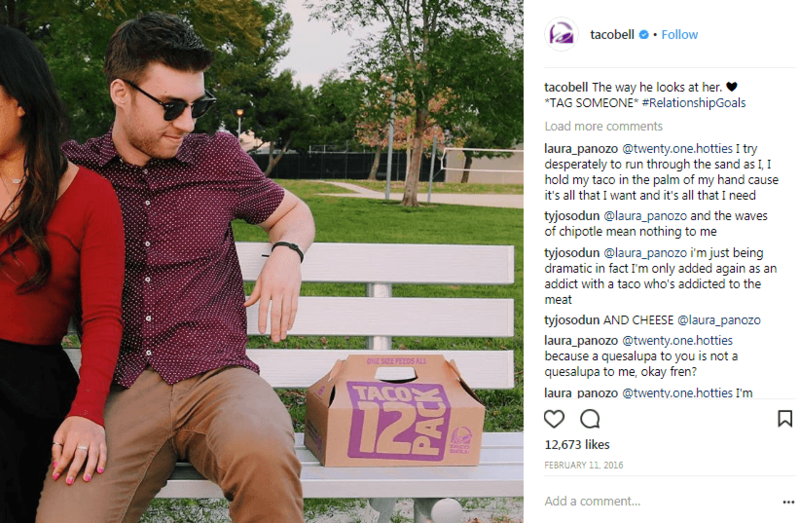 When you market yourself, on Instagram your main aim is to make people talk about you. Posts with contests usually have a good reach, so they can also help you get new followers and customers. Try to be creative – think of an interesting task and a valuable prize. Use a branded hashtag and ask people to tag their friends. Do you know why people follow brands on social media? According to Marketing Shepra, 56% of people follow brands to see sales and promotions. It’s very important if you want to drive sales. If you are not sure about how to measure the effectiveness of these promotional campaigns, add promo codes to your posts. After that, you will get valuable information and see what engages your audience more. People who follow you on different social media are interested in your products. Give them an incentive to follow you on all social media networks. Repost your posts to Facebook or Twitter and write that you are also present on Instagram where you publish special deals or events. Add social media icons to your website – it will help you get your first followers. There are many services to get Instagram followers. You can use special platforms or use hashtags #likesforlikes or #followforfollow. However, we don’t recommend you do this because you will spend a lot of time and money and won’t get any results. The followers you buy are not interested in your content and most of them unsubscribe within several weeks. You need to find an audience which is interested in your services. Use Instagram ads to do this. Facebook Ad Manager, a platform where you create Instagram ads, has advanced targeting options. You can narrow your audience, spend less money and even target visitors who left your website without making a purchase. Instagram marketing may seem a tough task, however, we are sure that you can do it. It will take some time and effort, but the result is 100% worth it. For more tips, check out our cover on the secret to success on Instagram as well as tips on how to gain more followers on Instagram. Christina Golovach, a marketing manager at Depositphotos, helps people discover new ways to promote their products. She is passionate about art and believes that constant learning is the key to success. She writes about the latest trends in marketing, design, and digital advertising. Follow Christina on LinkedIn .